Delicious chocolate cookies stuffed with salty pistachio's. Your new favorite! 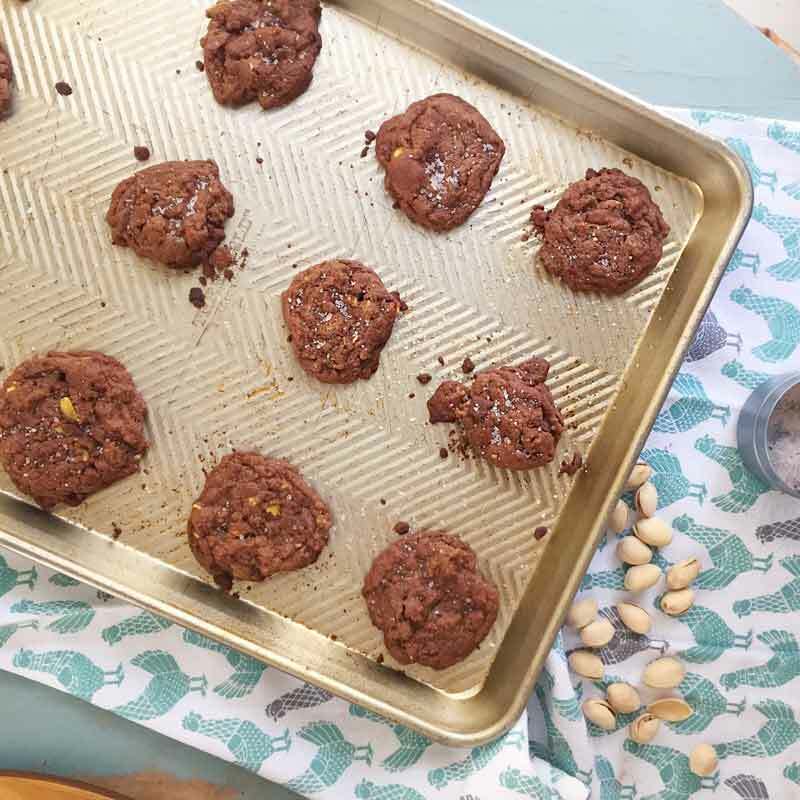 These pistachio cookies feature cocoa and sea salt for a delicious from scratch sweet chocolate cookie recipe. 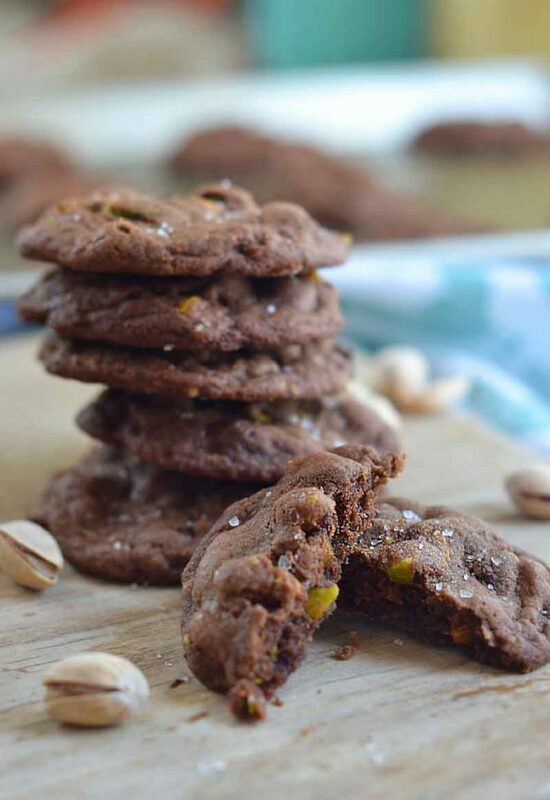 These Salted Chocolate Pistachio cookies will easily be your favorite! I just don’t know how to properly talk about these chocolate pistachio cookies. They are my new favorite for so many reasons. They aren’t overly sweet–just right. I’m a giant fan of the dark chocolate, pistachio, and sea salt combo because it hits the sweet and salty AND nutritional combo. Okay, I might be stretching the nutrition point a bit. But I do omit the butter in favor of coconut oil and dark chocolate instead of semi-sweet. And, of course, all of those pistachios are good for you. So yeah, nutritious. Kids aren’t going to like them as much as traditional chocolate chip cookies. This is a good thing, in my opinion. Grown-ups deserve cookies too. 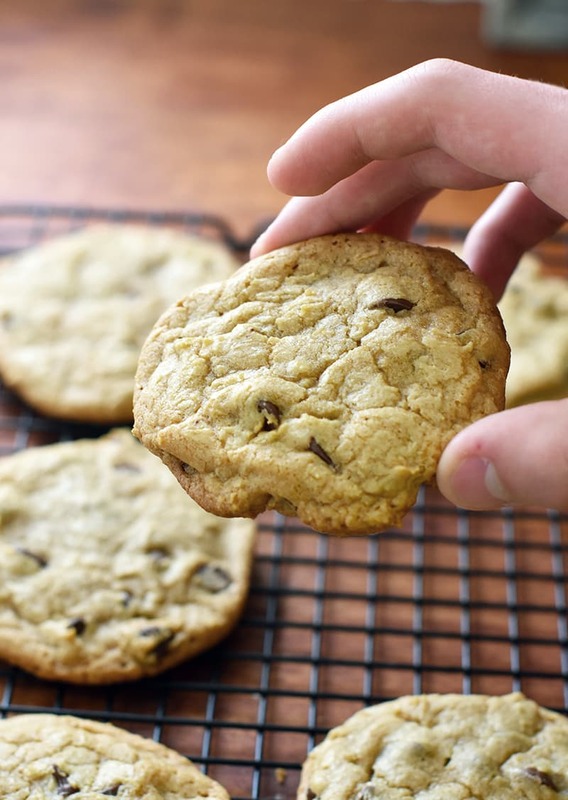 Mom’s deserve cookies that don’t get devoured immediately after being taken out of the oven. These might actually make it to the freezer for girl’s night. If you don’t eat them all yourself, first. These cookies are a perfect blend of comfort food classics and “newbie” healthy ingredients (is that even a thing ;)). Kind of like I smooshed Pizza and Kale together and made a new and DELICIOUS thing that everyone wants to eat. Except not Pizza and Kale. 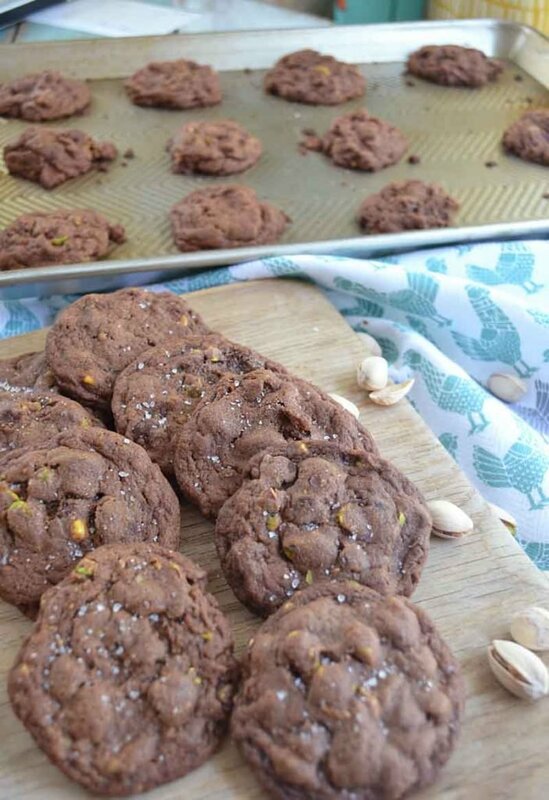 Delicious chocolate cookies stuffed with salty pistachio’s. Your new favorite! 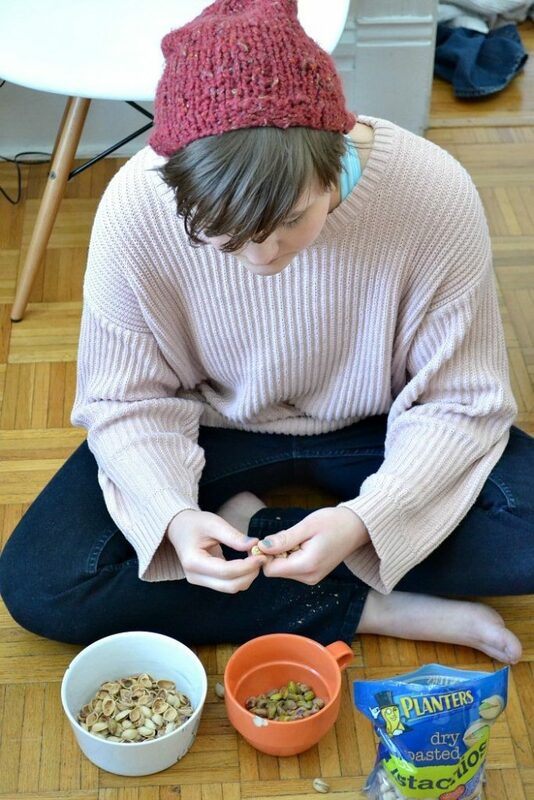 Mix flour, cocoa, salt, and baking soda together in a small bowl and set aside. In a large mixing bowl, beat coconut oil and brown sugar together for about 2 minutes. Add the egg and vanilla and beat for about 2 more minutes. Slowly beat in the dry ingredients just until combined. With a wooden spoon or spatula, stir in the chocolate chips and pistachio’s. Sprinkle the tops with sea salt and gently press the balls down with greased fingers a bit to give them a flat top. Bake at 350 degrees for 8-11 minutes or until they look set and the edges look dry. Other homemade cookies you are going to love! 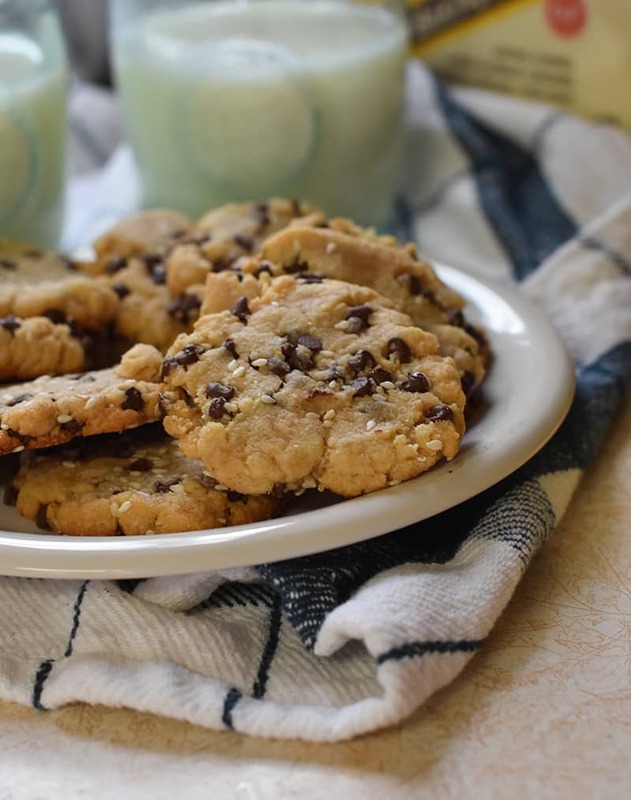 These cookies are surprisingly easy and, like these pistachio cookies, the perfect blend of sweet and salty! 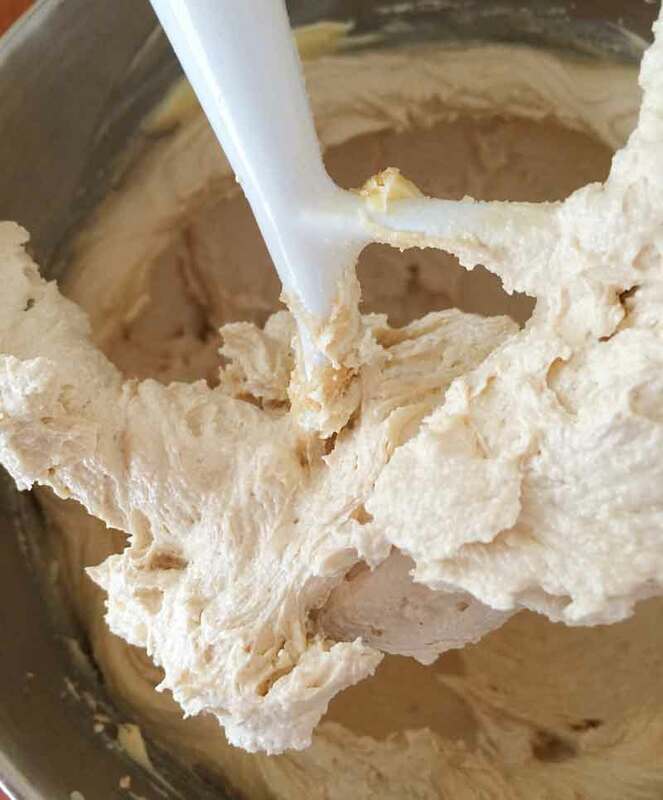 Tahini has such a wonderfully rich nutty flavor to add to chocolate chip cookies. You MUST try this combo! 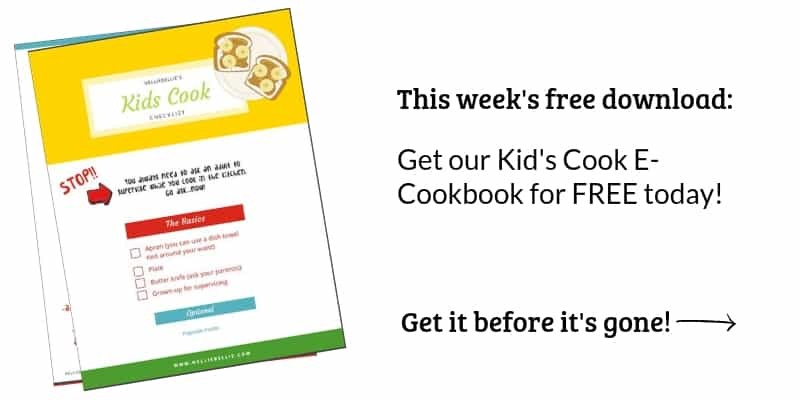 These are a family favorite and made for almost every single family function. 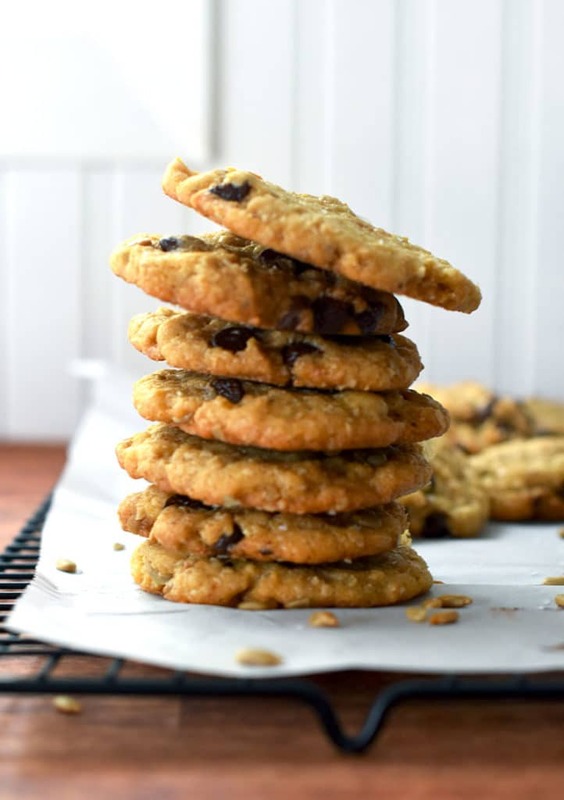 There isn’t anything quite like a classic chocolate chip cookie, is there.